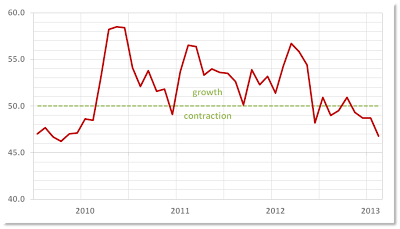 Last month, the PMI for the UK construction sector fell to its lowest level since October 2009, despite surprising growth in the residential sector. The index dropped to 46.8, staying below the break-even point of 50 for the fourth consecutive month. The survey compiler's senior economist, Tim Moore said "With total output falling at the steepest pace for over three years, the latest PMI survey is confirmation that January's construction decline was not entirely snow-related". The marked fall in construction output reflected declining levels of commercial building work and a sharp decrease in civil engineering activity. However, for the first time since May, last month saw growth in the residential sector – probably helped by the central bank’s Funding for Lending Scheme. Also, on balance, firms expected a rise in overall construction output over the next 12 months, with the degree of optimism the highest since April. 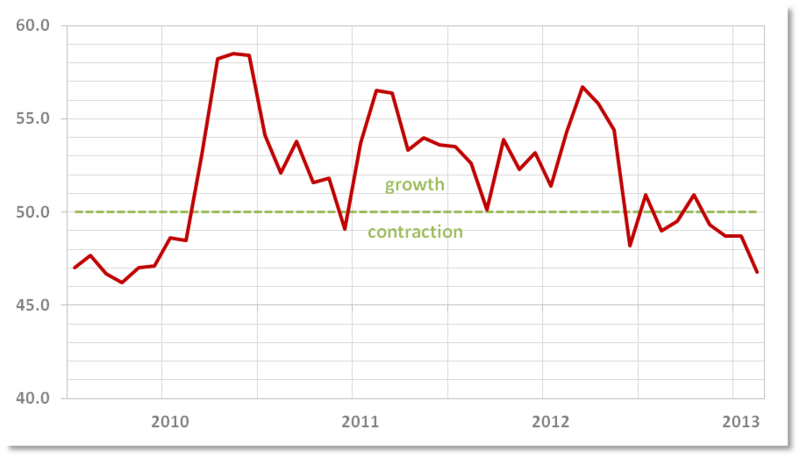 Partly reflecting this confidence, employment levels rose fractionally in February, in contrast to Q4 of 2012.